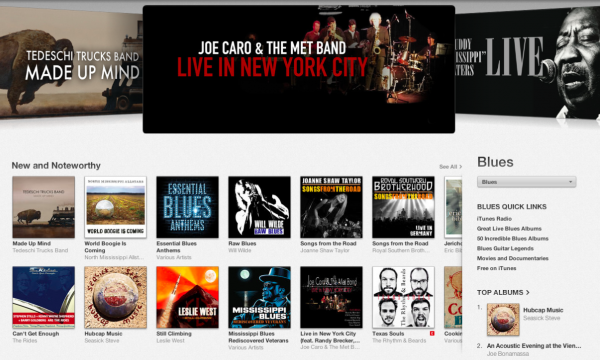 Joe Caro is a guitarist, composer and singer born and raised in New York City. He got his first guitar at the age of eight after seeing the Beatles on TV. Early influences include the British Invasion and Jimi Hendrix and Cream. A stint discovering the blues came next, listening to all the greats from Robert Johnson to Howlin’ Wolf and Elmore James. Soon after playing in local “garage” bands, he became interested in jazz focusing on Mile Davis, John Coltrane and all the great jazz guitarists. He has also toured extensively with notables such as Dr. John, Herbie Mann, Carly Simon /James Taylor, Gato Barbieri, Michael Franks, Akiko Yano, played live and or TV for Jon Bon Jovi, Clint Black, Ashford and Simpson, Crosby, Stills and Nash, Roberta Flack,The Eagles, Brookes and Dunn, Sheryl Crow, Olivia Newton-John, James Taylor, Lenny Kravitz, Aretha Franklin, Willie Dixon, KD Lang, Stanley Clarke, Johnny Mathis and Luther Vandross. Additionally, Joe has appeared with various artists and in the house bands on TV shows such as “The Late Show with David Letterman,” “Saturday Night Live” and “The Grammy Awards” and participated in countless recording sessions for TV commercials and movies. In the 90’s Joe formed “BFD” with Drummer Steve Ferrone and Bassist Will Lee doing the NYC Club circuit with live shows that featured guest artists including Donald Fagen, Michael McDonald, Pat Metheny, The Brecker Brothers and Felix Cavaieri of the Young Rascals. This association produced the CD “BFD” (released on Iguana Records in the US and Pony Canyon in Japan) which featured several guests artists and ten of his original compositions along with production credit. Next came a stint in the New York underground scene fronting an allstar band which included Trumpeter Chris Botti, Saxman Lenny Pickett, and Late show Drummer Anton Fig performing every Tuesday night at the NYC club, The Metropolitan Café. What started out as a 2 week gig continued for 8 years and became the home base for many New York City session musicians at a time when New York music clubs were far and few. A brief Hendrix collaboration with ‘Acid Reign‘ featuring the dynamic vocals of Sophia Ramos came in between. Joe moved to Maui, Hawaii and completed his first solo CD entitled “Home Alone” in 2011. Recorded almost entirely at his home studio, it features contributions from keyboardist Ricky Peterson, drummers Steve Ferrone, Anton Fig and Shawn Pelton and bassist Will Lee. Comprised of all original material except one Beatles cover, it is his first instrumental release. Following a few reunion performances in NYC, Joe decided to record a live album via Innsbruck in December 2012. The allstar lineup will be sure to catch the eye and ear of all who love top notch music. 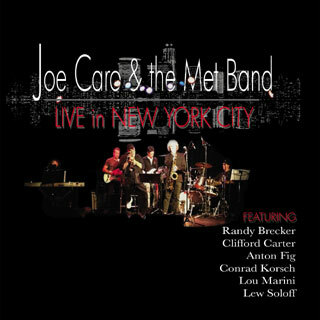 ”Joe Caro & The Met Band Live in New York City” is available via global distribution outlets. ‹ Chris Bergson Inducted into New York Blues Hall of Fame….